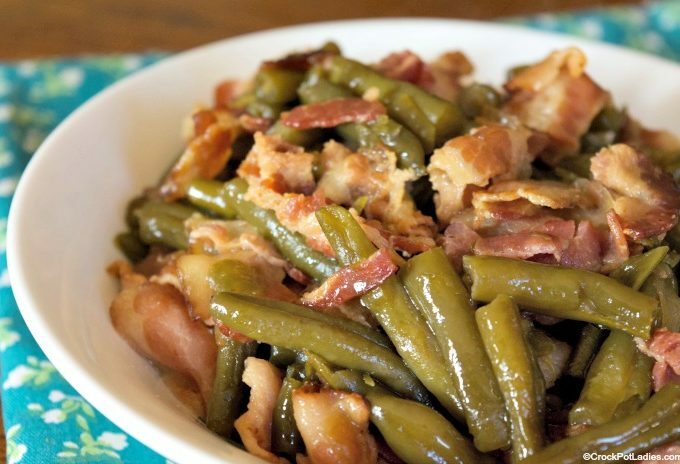 Just 5 simple ingredients makes up this amazingly delicious Crock-Pot Easy Green Beans and Bacon recipe. You really just cannot go wrong with this easy side dish flavored with bacon and a touch of maple syrup! We think it is special enough to serve at any holiday meal but simple enough for everyday too! 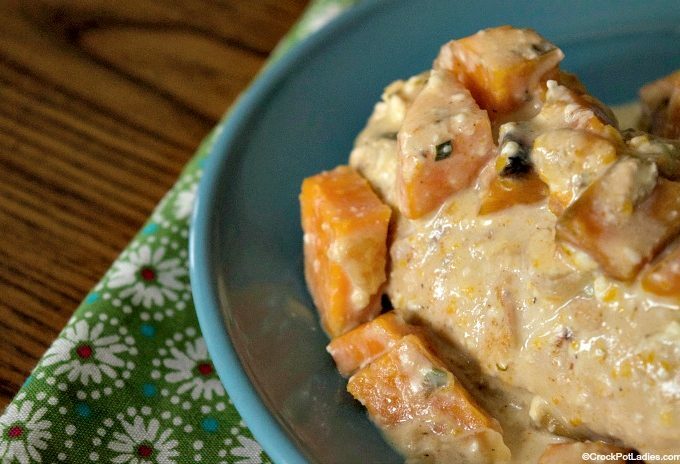 This recipe for Crock-Pot Creamy Chicken and Sweet Potatoes is both delicious and healthy! Make up this yummy one-pot slow cooker meal and enjoy! Use a leftover ham bone or ham hock to flavor up these sweet and savory Crock-Pot Sweet Ranch Style Beans. This recipe feeds a crowd making it perfect for potlucks or summer barbecue cookouts! 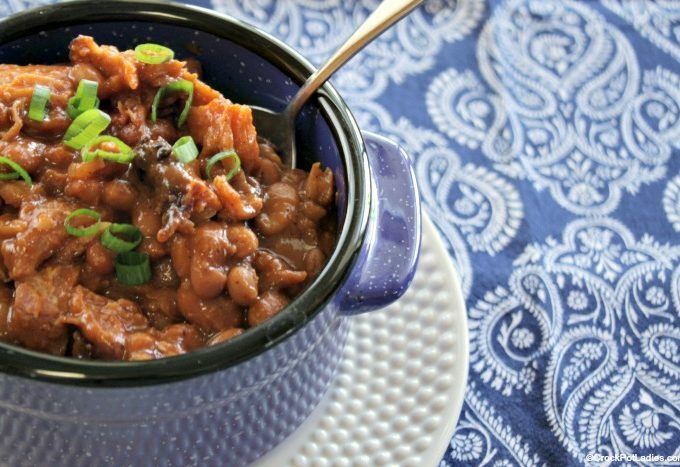 Beans, brown sugar, molasses and wonderful spices make this slow cooker side dish a winner for sure! 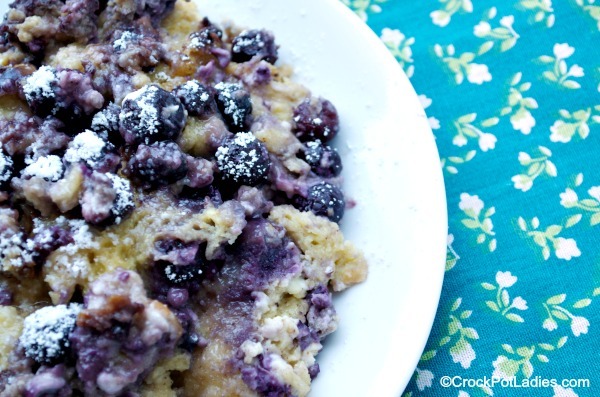 Start your morning with a slice of this delicious recipe for Crock-Pot Blueberry Breakfast Casserole. Using fresh or frozen blueberries this breakfast bake is perfect! 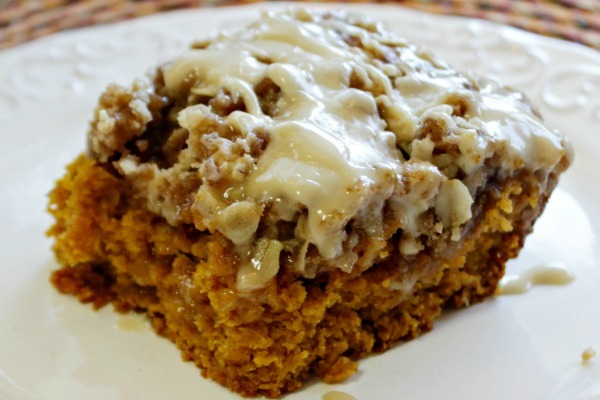 Your family will flip for the fall flavors in this lovely Crock-Pot Pumpkin Coffee Cake. A moist and tender coffee cake is flavored with pumpkin, spice and all things nice and topped with a lovely maple icing.